If you need a Littleton, Colorado sprinkler installation, you’ll want to hire a professional sprinkler installation service with years of experience that is well-versed in the area. 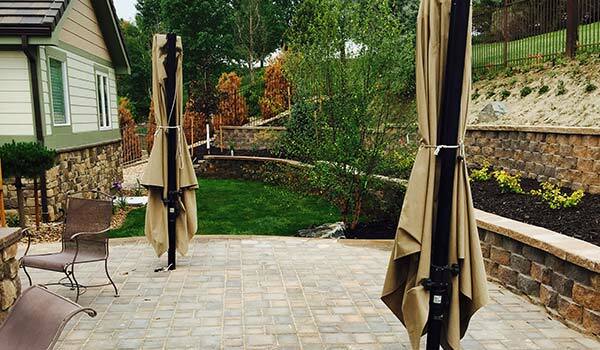 At Water Solutions Company, you can be assured that we will provide you with some of the best sprinkler service in Colorado with over two decades of experience working the Littleton area. Sprinkler installation can be complicated, but you don’t have to worry when you’re hiring Water Solutions Company for your sprinkler installation. We have the best equipment and expertise for all aspects of your sprinkler system installation from burying the pipes to hooking up the system with a pump to ensuring that the installed sprinkler system is free of leaks. We are State of Colorado Master Plumbers. We will make sure that your sprinkler system is expertly installed and running efficiently so that you do not have to worry about need as much future maintenance or repairs. Complete evaluation of the property– We look at all aspects of your property before we bury the pipes to make sure we are choosing the best places to install you sprinkler system and keeping in mind where additional pumps or requirements might be needed. Keeping your needs in mind— Every sprinkler installation company has a preference about the types of hardware they use for sprinkler installation, but we make sure to give you a choice for the type of system and hardware that matches your interests, keeping you well-informed of the options before we start the process. Future needs– Let’s face it, you and your sprinkler system are going to be together for a while, and we want to keep it that way! We know that sprinkler repairs or even replacement sprinkler systems are more than a pain to deal with, so we make sure to leave you with the thorough information you need to maintain your sprinkler system (and the estimates on routine maintenance costs) so it functions for the long run. We look out for the rest of your property– Sprinkler installation means digging up parts of your yard to bury pipes, there’s no way around it. But while some sprinkler installation companies may leave your yard in a rough state, we make sure to install your pipes as non-invasively as possible, doing our best to leave it as appealing as it was before we arrived. We keep you in the loop– With us, you don’t have to worry about not being able to get ahold of us or not having your lawn care questions answered. We make an extra effort to be available via phone or email to answer any of your questions and we do our best to keep you well-information through the whole process from estimates, to work, to post-installation. Give us a call today for an estimate on your Littleton Colorado sprinkler installation as well as inform you of other sprinkler services we can provide in the Littleton and Denver Metro Area.